York, Maine is a wonderful place full of exciting activities and beautiful sights. And just beyond York there are more things to do and see. 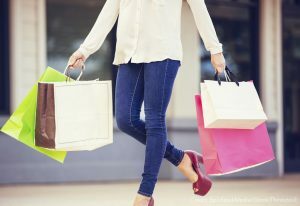 Just ten minutes away from York is Kittery, and in Kittery you’ll find the Kittery Outlet Stores, which are the perfect place to go for a day of retail therapy. They have hundreds of brands to choose from and great deals. So, if you’re looking to spend some time shopping while you’re staying at Dockside Guest Quarters, this is the place to go. You’re sure to find something to take home when you visit the Kittery Outlet Stores. The Kittery Outlet Stores are located just about ten minutes away from Dockside Guest Quarters in York’s neighboring town of Kittery. The Kittery Outlet Stores are open from Monday to Saturday from 9:00 am to 9:00 pm and on Sunday from 10:00 am to 6:00 pm. Whether you’re looking for clothing, accessories, or a special gift, the Kittery Outlet Stores are the perfect place to find what you need. The brands you know and love are all represented at the Kittery Outlets as well as brands that will pleasantly surprise you with their wares. Below is the full list of brands at the Kittery Outlet Stores and restaurants. When you’re planning a shopping trip to the Kittery Outlet Stores, don’t forget to make reservations for accommodations at Dockside Guest Quarters! Our rooms and suites are perfect for indulging in some relaxation after a day out shopping or enjoying other activities. And our onsite Restaurant is the ideal place to get amazing New England cuisine prepared with fresh local ingredients. At Dockside Guest Quarters, we know you’ll have a great time in York when you stay with us. We’ll see you soon!